With the days finally getting longer and the sun coming out I thought it was time to get some brighter colours into my life. I got this gorgeous Body Shop lipstick (Colour Crush) for my birthday which is the most beautiful red lipstick with orange undertones. I knew I just needed to have a make-up look around it as soon as possible and that exactly what I did. 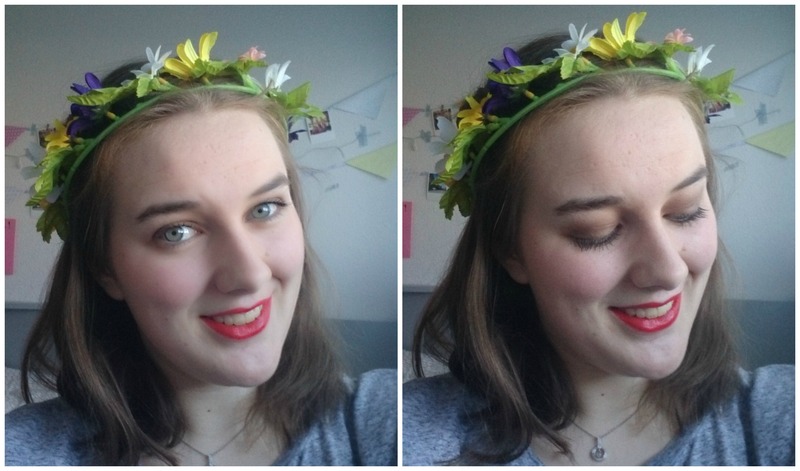 This look is all about the lips with a smokey eye.I then decided that a spring look is not a spring look without some flowers so queue flower crown (this one is from Tiger). 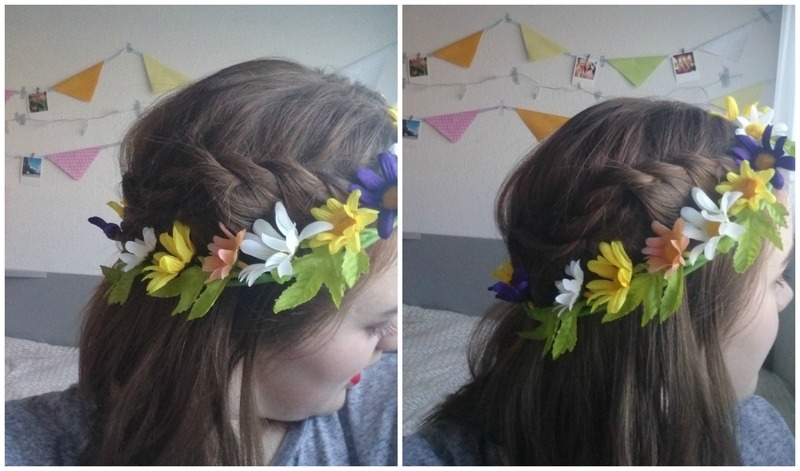 I love flower crowns so much especially for spring and summer as I feel they just make me look brighter and they always lift my mood ( you can’t be sad wearing a flower crown). I wanted my hair to have some volume so I curled it and then did this twist look in it. I think this look really screams spring as it is so bright and fun. I did a tutorial of this look on my Youtube channel if you want to check it out here. Hope you like it and let me know if you try it out.